Vienna, Jun 8 (Just News): Austria said Friday it could expel up to 60 Turkish-funded imams and their families and would shut down seven mosques as part of a crackdown on "political Islam", triggering fury in Ankara. Once family members were taken into account, a total of 150 people risked losing their right to residence, Kickl told a Vienna press conference. Matteo Salvini, head of Italy's League and interior minister in the new government, also tweeted his approval, saying: "Those who exploit their faith to endanger a country's security should be expelled!" 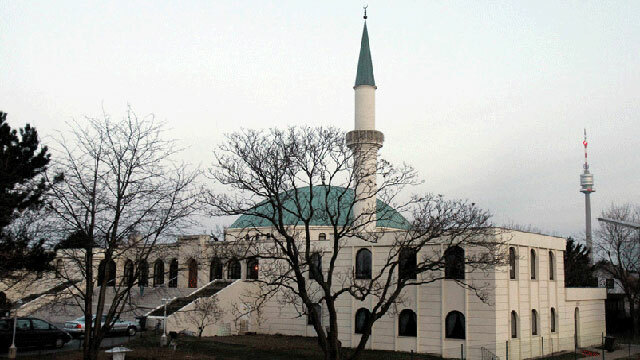 Seven mosques will also be shut after an investigation by Austria's religious affairs authority sparked by images which emerged in April of children in a Turkish-backed mosque playing dead and re-enacting the World War I battle of Gallipoli. Asked to address the question of foreign funding of imams on Austria's O1 radio station, ATIB spokesman Yasar Ersoy confirmed Friday its imams were paid by Turkish authorities but said that this was made necessary by a lack of training and funding for imams in Austria. Kursant, a 26-year-old, told AFP: "I've been coming to this mosque since I was a child. I've never heard anyone at the mosque... express any Salafist opinions. That's laughable." He also denied the mosque had any links to Turkish political parties. Turkey's relations with Austria have long been strained, most recently when Chancellor Sebastian Kurz said he would ban Turkish politicians from campaigning in Austria for upcoming elections. Both Kurz, of the centre-right People's Party (OeVP) and the FPOe made immigration and integration major themes in their election campaigns last year.